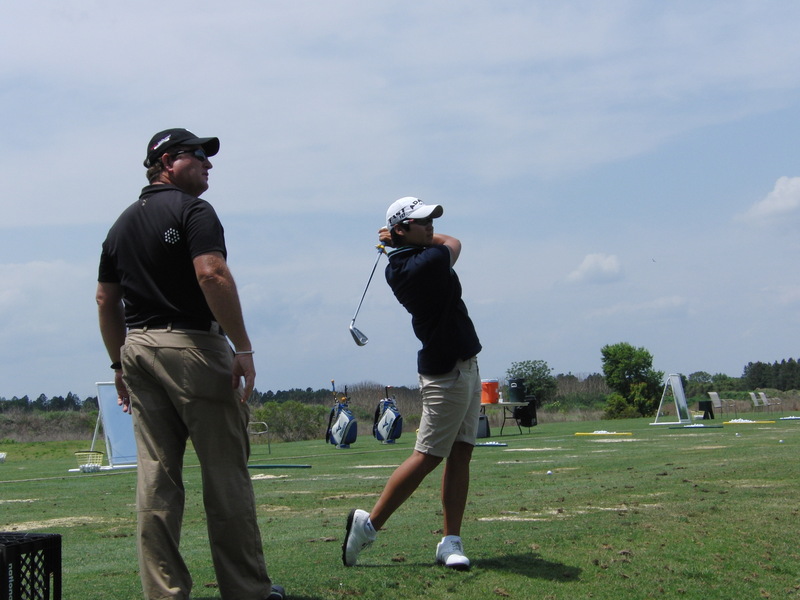 Howey-in-the-Hills, Fla. – Two weeks after winning the LPGA Tour’s first major of the year at the Nabisco Championship, Taiwanese golfer Yani Tseng was back working with the golf coach who helped get her there: Gary Gilchrist. Tseng, the LPGA Tour’s top money winner this season ($460,932), practiced twice this week on her entire game with Gilchrist in preparation for an event this weekend in Japan. She spent several hours April 20 at the Gary Gilchrist Golf Academy, Gilchrist’s full-time junior golf academy located at Mission Inn Resort about 45 minutes north of Orlando. The following morning Gilchrist gave Tseng one final tune-up at her nearby home course, Lake Nona Golf and Country Club. Tseng often does a good job of bringing the ball back to impact, Gilchrist adds, but a lot of times when she swings hard from being long the ball has a tendency to either hook or go right. “So making the clubface more square going back will shorten the swing and get her wound up more on her right side, which will allow her to be more consistent over time,” says Gilchrist, who accompanied Tseng at the Nabisco as well as the previous week’s LPGA Tour Kia Classic. “Her short game, especially her chipping is really really good. … I think the biggest and most important thing for me as a coach is making sure she is trusting in the process. That she’s trusting in herself and she’s not getting ahead of herself or down on herself (after a bad shot). Basically, Gilchrist is just as much a trusted mental coach as he is a swing coach. “Yani sometimes gets down on herself when she doesn’t hit the ball the way she should, misses a couple putts or she’s struggling to hit a ball to her standards,” Gilchrist points out. “What’s very important for us is to understand is each week prepares you for the next week. So even though you might have your “B” game this week, you have a plan and have a strategy to play up to your full potential. While that might only get you to 10th place, you’re improving your overall game for the following week. After focusing on a new attitude this year and “just relaxing and having fun,” Tseng is far from dead in 2010. Consider: After winning the Nabisco Championship, Tseng’s second career major, the 21-year-old golfer has already won twice this season (Tseng won the Handa Australian Open in March) and notched two third-place showings in five official starts for $540,932 in 2010 earnings. That brings Tseng’s career earnings to $3,506,468. “Gary’s a really good coach and he’s always been very positive,” the soft-spoken Tseng says with a smile. “He’s helped me a lot with my swing and he’s pretty simple. And I like the way he talks because he’s really positive. 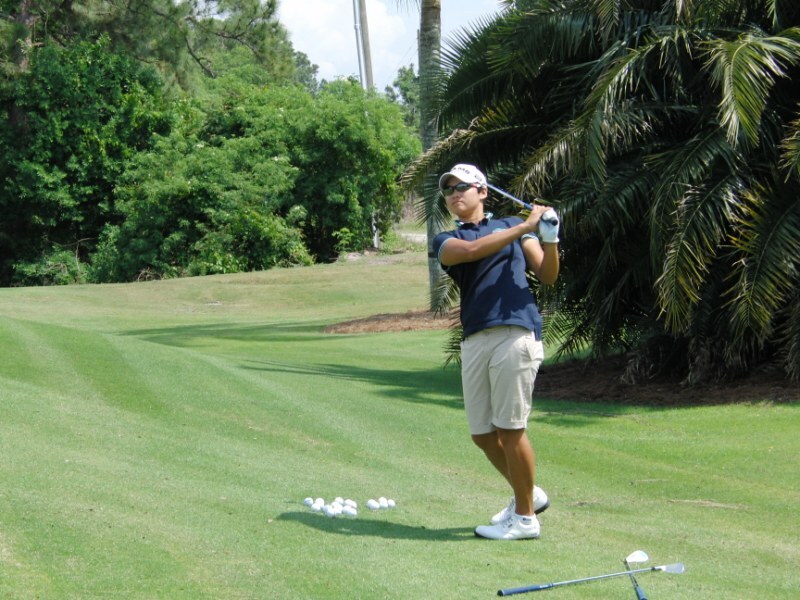 What Tseng is really enjoying about her new swing coach is his open-minded approach to the game and his overall simple and upbeat coaching style. “Gary’s not the kind of person who protects you and thinks, ‘oh this is my player,’ says Tseng, who entered the week as the world’s No. 3-ranked player in the Rolex Rankings. “He’s just really nice, and open minded. Also because I’m a very feel player, he can teach that feel too.